FORD Australia has agreed to a record $10 million fine by the Australian Competition and Consumer Commission for "unconscionable conduct" for failing to fix dodgy transmissions on 10,500 cars made between 2011 and 2015. It is the highest fine handed out to a car company in Australia, and equal highest to Coles supermarket for "unconscionable conduct" in 2014. Ford has agreed to fix, buy back or replace 10,500 cars, as deemed by an independent auditor. 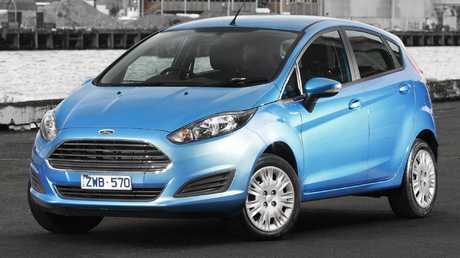 The models affected include the Ford Fiesta and Focus small cars and EcoSport SUVs made between 2011 and 2015 equipped with the six-speed "Powershift" transmission. The gearbox is intended to be as smooth as a regular automatic but Ford received widespread complaints about shuddering and delays. Complaints began to surface in 2015 and 2016 however Ford now admits it initially misdiagnosed the problem. 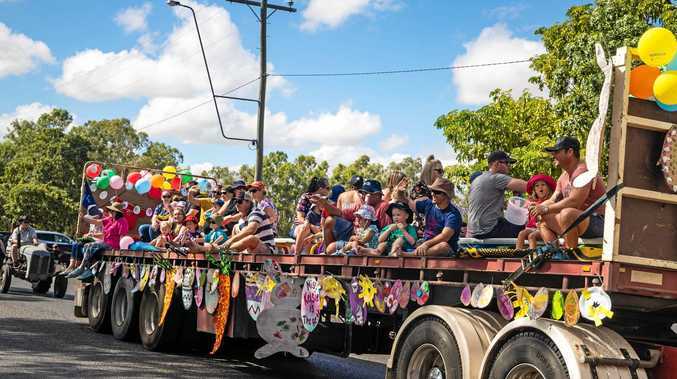 "We took too long to identify the issues and we acknowledge that PowerShift customers did not have complaints handled appropriately between May 2015 and February 2016," said Graeme Whickman, President & CEO Ford Motor Company, Australia. 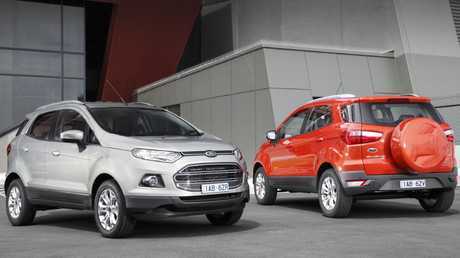 Early versions of the Ford EcoSport had transmission trouble but owners were initially told it was their fault. Picture: Supplied. "We were overwhelmed with the volume of complaints and, while it was not intended, over a ten-month period our processes were inadequate and information provided was either inaccurate or incomplete. We let our customers down and for that we are sorry." Ford said of particular concern was the fact its Owner Loyalty Program "resulted in customers paying an additional cost to buy new vehicles although they may have been eligible for a refund or no cost replacement vehicle". In a media statement Mr Whickman added: "We now realise this program was flawed as it didn't ensure an adequate assessment of customers' rights under consumer law. We are committed to making right with these customers." ACCC Chairman Rod Sims said: "Ford's $10 million penalty is one of the largest handed down under the Australian Consumer Law and reflects the seriousness of Ford's conduct. Ford knew that its vehicles had three separate quality issues, but dealt with affected customers in a way which the Court has declared to be unconscionable." Here’s the culprit: the Powershift gearlever looks the same as that of a regular automatic but the transmission itself wasn’t as smooth. Instead it shuddered and there were delays in shifting. Picture: Supplied. The ACCC says Ford communicated with its dealers about the quality issues on multiple occasions, but did not provide adequate information. "Despite knowing that shuddering was a symptom of the quality issues with the vehicles, Ford frequently told customers that shuddering was the result of the customer's driving style. Ford knew that the symptoms of the quality issues with the vehicles were experienced intermittently, but required customers to demonstrate them on demand in the presence of a dealer in order for repairs to be undertaken," said Mr Sims. "In most cases, Ford refused to provide a refund or no-cost replacement vehicle to consumers, even after vehicles had undergone multiple repairs that had not resolved consumers' complaints," said Mr Sims. Under the deal agreed to by Ford and the ACCC - and approved today by the Federal Court - Ford Australia says it will establish an independent complaints review program "for customers who requested, but did not receive, a refund or no cost replacement vehicle between 1 May 2015 and 1 November 2016." 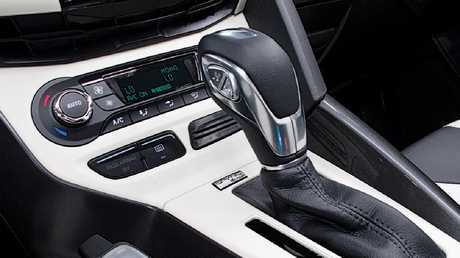 Ford Fiestas with Powershift transmissions made from 2011 to 2015 are also affected. Picture: Supplied. Ford also agreed to upgrade and review its Consumer Law Compliance Program and Complaints Handling Systems. "Accepting the $10 million fine is the first action on our commitment to make right," Mr Whickman said in a media statement. Ford says it will provide compensation to affected customers in line with the independent reviewer's decision. The review process will commence in early July 2018 and run for 12 months. Affected customers can also call 13 FORD or visit ford.com.au/powershift to register for updates on the independent review process.